Use the Gallery as a quick overview of our products. For details on any product navigate to the pages containing the descriptions with a Search Word or the Site Menu. Within a Gallery mouse over images for descriptions or click an image to enter the slideshow and then click the top right X in any slide to exit the show back to the Gallery. Our Entry-Level POS system for the smaller retailer and retail operation. Our Full-featured Solution for all sizes and complexities of Retail Organizations. Counterpoint 8.5.3 and above have a brand new User Interface. The popular Windows 10 style tiles replace the older Icon and pull-down menus. Favorites and Recently Used bars have been added to enhance navigation. Adopting the Windows 10 style interface will enhance navigation and simplify training for new and part-time employees who are often familiar with this interface. A few example screens are shown below. Counterpoint supports dozens of Retail Environments. A few of the common types of Retailers are shown below. (Click an image for the full-screen slides). Counterpoint is a comprehensive solution for most Retail Environments. The Features and Functions brochure provides a broad scope overview. Key strengths of Counterpoint are profiled in the remaining documents. Counterpoint easily adapts to the specifics of most Retail Environments through the use of the comprehensive configuration and customization tools it contains. A few examples of successful installations for different types of Retailers are shown below. 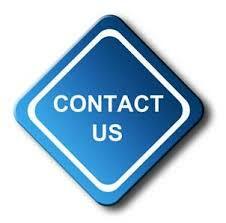 If your type of business is not included, contact us for specific literature and reference accounts. NCR offers a wide range of POS Terminals, Stations, and devices. Counterpoint Windows and Linux environments are supported for most hardware and peripheral brands. A representative set of equipment examples are shown below. If you have existing hardware or plan to acquire specific types of equipment contact us for specifications and recommendations. We sell, install, and support a broad range of hardware at CCS as well. We can offer competitive pricing. Our customers like to acquire the equipment for their software from us to take advantage of the combined services simplification that results. We make sure all the hardware and software is compatible, correctly configured, and properly installed. We have seen numerous system installations become unmanageable when there are too many vendors involved. NCR offers Touchscreen Terminals specifically designed for Counterpoint. The hardware feature lists allow selection of the best fit for different sizes and types of Retailers. Counterpoint has a comprehensive Touchscreen Interface for POS transactions. The functions needed for different types of Retailers are easily created with the configuration tools included. Specific image libraries for products and interface icons can be uploaded. Some examples of shown below. CCS sells, supports, installs, and trains on several applications that complement Counterpoint in the back-office. The Passport Business Solutions (PBS) software includes Accounting, Distribution, and Manufacturing software. PBS applications can be interfaced to Counterpoint as a separate step. This can save considerable effort in recording transactions in the general ledger and preparing financial statements. The PBS CashPoint Accounting software integrates directly with Counterpoint. The RTM Service Management software systems ServicePoint, ServicePoint Mobile, and Focus provide complete solutions for most service operations requirements in most sizes of organizations. Our eCommerce applications are designed to interface with Counterpoint. WooCommerce and CPice are a good fit for organizations with WordPress websites. CPice, CP Shop, CP Magento, and Commerce5 are built with the comprehensive Magento website platform. Review the brochure descriptions below and visit our detailed pages on the rest of site. See links in the right panel, menu, and search box.